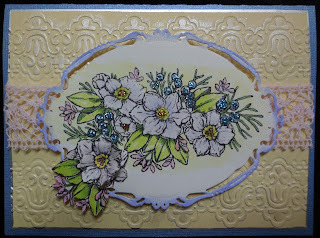 I used the beautiful new paper whites stamp by Power Poppy, colored them with copics and added stickles to the berries. I cut out a portion of the stamp and added it to the bottom edge. I used a cuttlebug embossing folder and then added some metallic rub on in pearl to give it some shine. I cut out the image with a spellbinder die and edged it with distress ink. 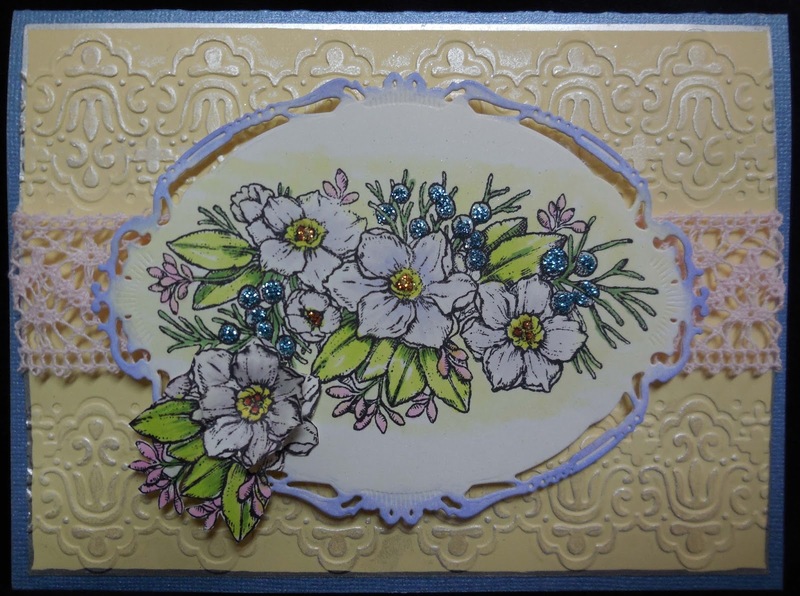 Added some lace, silver pen around the edge to finish this card.